The OW3 OilWatch system is a self-contained system that provides oil level monitoring, alarm functionality and compressor shutdown. The OW3 OilWatch uses a Hall sensor to measure the oil level. A magnetic float changes its position according to the oil level. The Hall sensor converts these magnetic field changes into an equivalent signal. 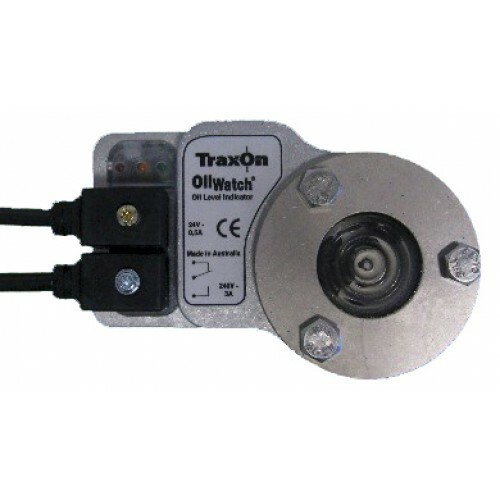 The electronic controller converts the signal into the LED display that shows oil level. If the oil level drops into the red zone, the OW3 generates an alarm signal and the alarm contact changes into alarm state. The latter may be used to shut down the compressor. If the oil level comes back to normal, the alarm is reset.